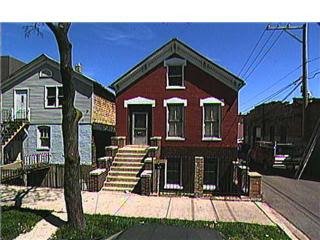 Simon and Annie Baar Home 1882-1918 1611 N. Honore Street, Chicago, Il. ...take care all of you. PS A picture of the house where my great great grandparents lived. They sold straw kept in the barn in back. It's there... plain to see. MEMRO translation of an Iranian Intelligence Ministry Broadcast Encouraging People to Snitch on Spies Features "John McCain" Masterminding a Velvet Revolution in Iran from the White House. John McCain – a senior White House official, who orchestrates numerous conspiracies against the Islamic Republic of Iran. George Soros – a Jewish tycoon and the mastermind of ultra-modern colonialism. He uses his wealth and slogans like liberty, democracy, and human rights to bring the supporters of America to power. Gene Sharp – the theoretician of civil disobedience and velvet revolutions, who has published treatises on this subject. He is one of the CIA agents in charge of America's infiltration into other countries. Bill Smith – one of the CIA's senior experts on Iranian affairs. For many years, he has maintained close ties with Iranian opposition groups. John McCain: As George Soros rightly said, our goals should be achieved through long-term planning, which will be adapted to the culture of each region. We will provide guidance to influential groups in each region. Gene Sharp: Due to growing awareness among the people, our military presence no longer has the impact it used to have. This can be seen in Iraq and Afghanistan. We need to find alternative methods. John McCain: True, pressure and aggression no longer guarantee the achievement of our goals. We must consider "culture-building" over there. Gene Sharp: The 21st century is the age of changing cultures and influencing minds. Bill Smith: That is precisely the plan we were working on. George Soros: I agree with you, but regime change should not be done in haste. Bill Smith: We must contact authors, intellectuals, and influential people in society, who have common interests with us. George Soros: We should cooperate closely with the NGO's that share our goals. Satellite TV networks have a great impact and play a very important role. Bombarding people with propaganda has always been effective. We must expand the cultural warfare, which we have had on the back burner in Iran for years. Bill SmithWe must also send our intelligence agents and others who work with us, personnel [to Iran] to make use of the abilities of leading cultural figures. So far, we have achieved a lot through international scientific conferences. Iranian masses: Nuclear energy is our inalienable right. 1st Iranian man: Did you go to the rally yesterday? 2nd Iranian man: Yes, it was great. A lot of people came. 3rd Iranian man: There is no end to foreign conspiracies. 2nd Iranian man: If only our memory would not grow old along with us, we could always remember their treachery. 4th Iranian man: They seem to have forgotten their defeat in Tabas [the reference is to the failed attempt to rescue the hostages at the U.S. embassy in Tehran in 1980], and how God humiliated them. 5th Iranian man: They will not be able to do anything with their economic sanctions. Our young experts' progress in the field of nuclear energy has dealt them a mighty punch in the face. The scene: Three Iranian oppositionists making plans in an apartment. 1st oppositionist: Guys, according to the e-mail I got yesterday, we must get started. Besides, the equipment we need has arrived. 2nd oppositionist: Now it will be easier to pass on the instructions we get from satellite TV. 3rd oppositionist, called Manucher: Then all this will become a great news item for our friends in America. 1st oppositionist: I'm sure that once we carry out this mission, we will get all the visas they promised us and have a good time in America. Here is the necessary equipment. Manucher's sister: Where were you tonight? Don't you think our mother and I worry about you? Manucher: What, am I, a little kid, that you worry about me? Manucher's sister: I think he is keeping bad company. Intelligence agent (to commander): He doesn't have a criminal record. I think he is one of the new young men involved in this. Commander: Tail him all the time. Commander (to Manucher): Thanks to your cooperation, we have managed to prevent a huge disaster. We will take this into consideration when we determine your punishment. Manucher's sister (answering the phone): Yes? Commander: Hello. I'd like to thank you for the information you gave us. We have talked to the judge presiding over the case, and he said that Manucher would be released soon. Voice on TV: Today, global arrogance [the U.S.] and international Zionism, with the help of their spy and satellite networks, are planning regime changes. In order to achieve this filthy goal, they will not shy away from any conspiracy. Each and every member of the brave and honorable Iranian nation must remain vigilant, and report any suspicious activity to the 113 hotline of the Intelligence Ministry, throughout the country. We are the guardians of your information. Credits: The information headquarters - Intelligence Ministry. The RezkoWatch Confidential Tips email inbox brought a chilling surprise posed in the form of a question: Was the Khaleel Ahmed who donated to Sen. Barack Obama (D-Ill.)'s campaign in 2004 the same Khaleel Ahmed who was arrested in February 2007 with his cousin on terrorism charges? It suggests very bad judgment, as do strong, persistent suggestions that Obama also accepted quite small contributions from extreme Left-wing veterans of the terrorist Weather Underground now living in Chicago. His list of contributions shows one for $200 from a certain William Ayers. Can this possibly be the same William Ayers, now a Chicago professor, who used to plant bombs in the Seventies and has said: "I don't regret setting bombs. I feel we didn't do enough"? His partner, Bernardine Dohrn, once "declared war" on the US government. ...and it just looks like a steam engine building steam for a giant wreck. Nearly 50 years after Marjorie Warvelle Bear started writing her book, 38 years after she finished it, 26 years after she died and 14 years after I wrote a column about her languishing manuscript, "A Mile Square of Chicago" is now in print. It's a sprawling and meticulously detailed remembrance of the neighborhood of Bear's youth -- -the area on the West Side between Ashland and Western Avenues from Lake Street on the north to Harrison Street on the south just after the turn of the century. Governor Rod Blagojevich's chief fundraiser has arranged to get a loan from the same Iraqi billionaire whose $3.5 million payment got another member of the governor's inner circle thrown in jail. Christopher Kelly headed Blagojevich's campaign fund in both of his races for governor and is now under federal indictment. State records reviewed by The Associated Press show that Kelly pledged all of his shares in a Nevada land partnership as collateral for a loan from a company headed by Nadhmi Auchi (OW'-chee). Ok, I'll skip the obvious speculation... but just tell me with Romney talking like this today, how this mess from Illinois isn't going to ruin Democrats in 2008. What an albatross Illinois politics has become. Zorn's post that should be nailed to the door at Obama's campaign office. I didn’t expect Barack Obama to interrupt his Super Tuesday campaigning last week and heed the suggestion in my column that he answer in detail the questions that keep coming up about his entanglements with Tony Rezko, the fundraiser who’s now facing trial on federal corruption charges. He was very busy and had to stay on message. I get that. But with only nine primaries the whole rest of the month, he now has the chance—a Rezkopportunity if you will—to grant a sit-down interview to Tribune investigative reporters Ray Gibson and David Jackson and try to make this story go away before it inevitably burbles up again at a less convenient time. I belonged to my college listserv about this time in 2004 and remember the disappointed Dean supporters reconciling themselves to Kerry with the consolation Kerry's war record would make him such a winner compared to Bush. We had all been anti-War in College and my response was go back and look at the Winter Soldier hearings, and Kerry's testimony before congress. I remembered it all vividly. It was one of the most painful times in our history and it was not going to do Kerry any favors played back in the campaign. I have the same feeling now with Obama and the issues around Rezko. Zorn's giving the strategy to get ahead of it all. Let's see if Obama takes the advice. A handy link to have. Peter Hitchens: The Black Kennedy: But does anyone know the real Barack Obama? Now, Obama has the devil's luck, which among other things means he has a boyish smile that disarms suspicion or hostility at 50 paces. But he is no child, and no innocent. Despite a childhood in Hawaii and Indonesia, Obama knows Chicago well - and from underneath, too. He threw over a good corporate job in New York to toil in the dismal South Side as a "community organiser", getting up campaigns about asbestos in council flats but also getting to know this place's grimy, snaggled web of power - churches, property developers, professional politicians, fixers and money men. He also revealed that he was the sort of person who goes into a revolving door behind you and then comes out of it in front of you. And, of course, he is a lawyer who knows the rules all too well. As one veteran of Chicago politics who very much did not want to be named said to me: "Thank God for Louisiana - their politics are even dirtier than ours." He clearly remembered Obama's first steps on his political career. This involved merciless cunning. Somehow, all of Obama's challengers made a mess of their nomination papers. They were all disqualified. Only Obama's papers, miraculously, were perfect. So he won the Democratic nomination, which in this part of the world means he won the seat. The insider recalled: "I thought he was a very talented young man. He was smart, he was willing, he was principled and he worked hard. "He went to Springfield [the Illinois state capital] and did not become part of the more tawdry aspects of the culture down there - alcohol and women. But Obama quickly got another reputation. "He was always in the bathroom for the really tough votes. It was not courageous." The source explained this simply. Barack Obama knew even then that he could one day live in the White House. "I think he understood long ago that the future was limitless for him. He made decisions in his very early political life that would enable him to be a candidate who would have very broad appeal." These not-very-helpful remarks come from a black member of Obama's own party. What about his opponents? It [Rezko's friendship] suggests very bad judgment, as do strong, persistent suggestions that Obama also accepted quite small contributions from extreme Left-wing veterans of the terrorist Weather Underground now living in Chicago. Just waiting for the Ayers Dorhn Obama photos to come out of the woodwork. Hopefully Obama had the good sense to cover his face Chicago style when the cameras came out for those. Nibras Kazimi: Obama’s Saddam Connection? What if there had been an Obama-Auchi meeting that may have been arranged by Rezko? Has any reporter asked Obama about this to his face? What if either Rezko or Auchi sold Obama on how the Saddam regime sees things, and that’s why Obama took a stance against the Iraq war? Was Obama influenced by a Saddam connection? Walking away from the ones we fight with now can't be a great start to such a summit. PS: You do have to wonder what Obama envisions when it comes to a summit with Arabs at least. He has a habit of picking the wrong crowd from that neck-of-woods.